Re: العراق اشترى دبابات T-90 الروسيه !! 125 mm High-explosive fragmentation projectile (HEI), for T-90S of Iraqi Army. 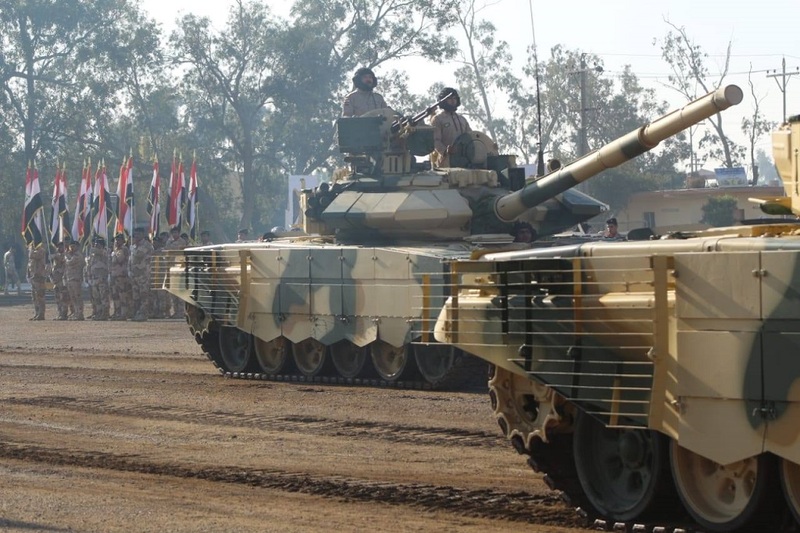 One of the favorite themes of the Iraqi media covering the daily activities of national armed forces is the service of tank units armed with Russian T-90S. With enviable regularity, various photos and videos appear on the Web, telling about the moments of combat training. In principle, this is not surprising, machines made in Nizhny Tagil, are considered among the most modern in the armies of Arab countries. In most tactical and technical characteristics, they surpass the export versions of the American Abrams. This was repeatedly noted by the Iraqi military themselves, comparing the M1A1 and T-90S. 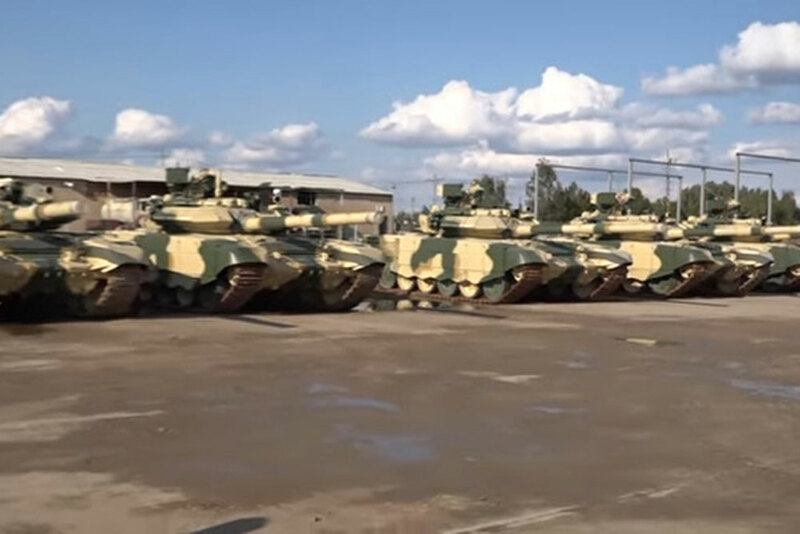 Some of the experts, due to the availability of air conditioners and other devices on the “nineties” that greatly facilitate combat operation, began to call Russian vehicles “luxury tanks”. For example, the built-in bulldozer equipment allows you to quickly prepare a special trench. For a huge Abrams the construction of such a shelter is a rather complicated task. The use of special engineering technology has certain limitations. Another significant advantage of the T-90S is the presence of a “long arm” - the Reflex M missile system, known under the NATO designation AT-11 Sniper. 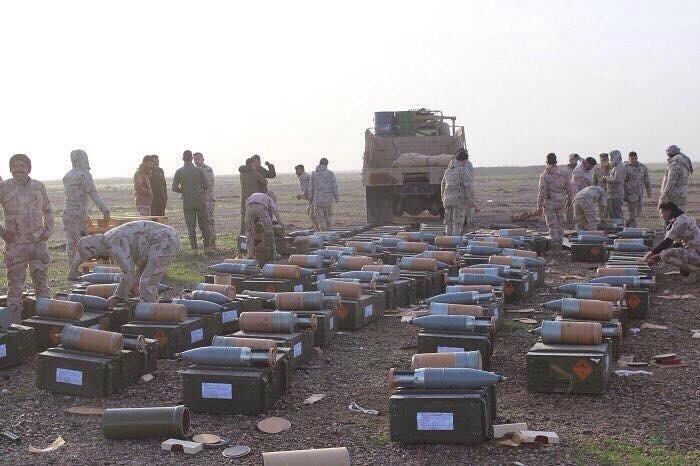 It is the desert area of ​​Iraq that makes it possible to fully realize the capabilities of such weapons, which are hitting various targets, including well-armored ones, at a distance of up to 5000 m.
In addition to cumulative missiles, there are also modifications with high-explosive combat units capable of effectively destroying the enemy's manpower. By the way, judging by the reports, the tankers of the 5th battalion from the 35th brigade of the elite 9th armored division have already mastered the use of such Russian high-precision missiles.